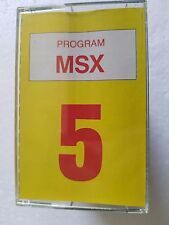 Home » Forum » MSX Talk » MSX Resource Center » What MSX game have you spent the most time with? I think this would be a funny idea for a megapoll. I have spent days and days playing games like Maze of Galious, Nemesis 2, etc. What's your opinion about this one? Great idea.....I spend many many and many hours playing metal gear, usas, aleste and sd-snatcher...but most time I spend on xak-1. kinda surprising the poll outcome so far... I would've been with Wolf. I couldn't afford any of those games in those days (I was 12 years old or so). You think Snout BOUGHT those games Argon? But anyway, I spend most of my time with Falcom games: Romancia, Drasle Family, Dragonslayer VI and Ys1-3. Oh and yes, I do own these games....nowadays that is I didn't own them back then, but out of respect I bought them years later.